In brief they are manufactured by two different production processes. CAST acrylic, as the name suggests, is manufactured by a process whereby MMA (Methyl Methacrylate monomer) liquid is pumped into a mould made from two sheets of glass. The mould / monomer is then submerged in warm water and the process of polymerization takes place. The result is a sheet of rigid PMMA (polymethyl methacrylate) or what is generically called Acrylic. Various trade names are applied to this sheet – in Europe we call it “Perspex”, in the USA it’s often referred to as “Plexi or Plexiglas” other brand names include “Setacryl”, “Polycryl”, “Oroglas” and many more. Whilst CAST Acrylic sheets tend to have a greater variance on thickness tolerance (as much as + / – 30% on thickness). This is compensated by the surface finish (as smooth as glass, since it was CAST, or molded, between two sheet of glass). Furthermore, the ability to colour the clear MMA monomer by using master batch pigments allows for numerous colours to be obtained in relatively small production batches, in most cases as few as 20# sheets 3030 x 2030mm can be obtained. In addition to the above CAST acrylic sheets lend themselves to ease of fabrication. Cutting, whether with conventional saws produce a cleaner cut and the sheets when stacked (cut in multiples) tend not to fuse or weld together. 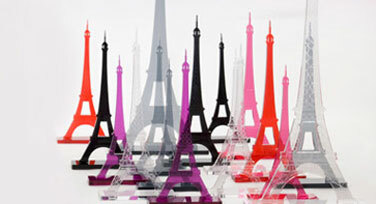 In addition CAST acrylic when laser cut produce a highly polished edge, thus reducing finishing times when fabricating. Furthermore, when hot wire line bending, drape or vacuum forming CAST acrylic sheets are more malleable / pliable than Extruded acrylic sheet. 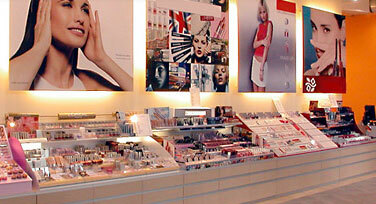 Extruded Acrylic sheets are manufactured by a continuous production process. 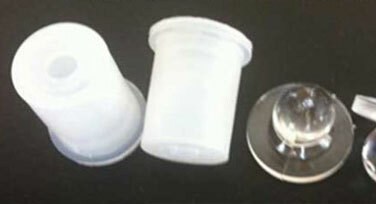 Acrylic or PMMA pellets are fed from a containment silo to a feed hopper above an extruder line. The pellets are fed into the extrusion barrel and are driven through the barrel by a single or twin screw auger system. As the pellets progress through the heated zones of the extruder barrel the heat increases until the pellets melt into a molten mass. This molten mass is pushed forward into a conical / cone shaped die which then widens out into the die lips. The molten mass, under pressure from the screw drive, reaches the die lips and pushes outwards along the die lips to produce a molten sheet. The height / gap of the die lips is set slightly larger than the thickness required for the finished sheet. This continuous band of molten acrylic sheet is then passed through sets of cooling rollers, which may emboss a pattern / finish onto the sheet as it cools or may just produce a standard gloss / smooth finish. As the sheet progresses down the haul off line it has cooled sufficiently to be edge trimmed, cut to the final finished length required and a protective P/E film is applied. Finally, the sheets are palletized and wrapped for dispatch. Extruded sheets have a better tolerance on thickness, typically + or – 10% , however, tighter tolerances can be achieved by prior agreement with the extrusion mill. Because of the continuous nature of production short production runs are of the order of 3 – 5 Tonne per size and gauge and colour. Clear, Opal and black are amongst the more standard colours produced. 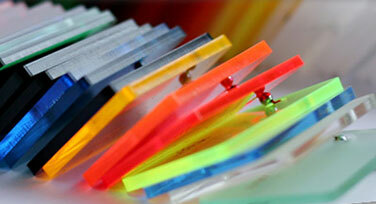 You can purchase Acrylic Sheets / perspex Sheets from our online store. We provide a Free cut to size service and fast nationwide delivery.